Algolia is the high-performance search system with keyword suggestion and sorting search results. 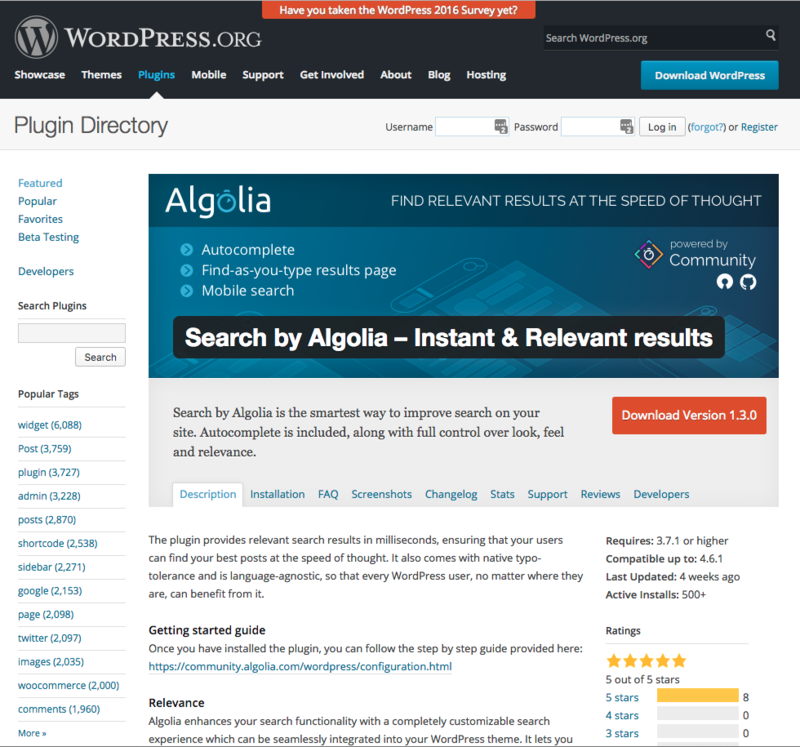 After installing the plugin, you may connect your WordPress site to Algolia, and then run Shifter through Algolia's API. Install a plugin "Search by Algolia"
Let's install Algolia into Shifter. Open the WordPress dashboard on your browser and log in. 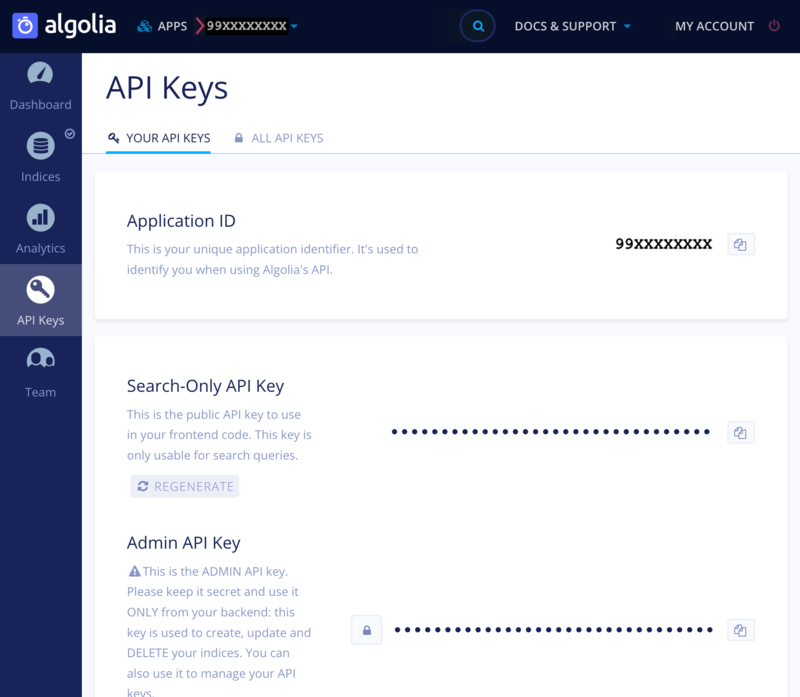 Input "Application ID", "Search-Only API Key" and "Admin API Key" which you copied from the Algolia Management page. On [Search Page], select [Use Algolia with Instantsearch.js]. For Shifter customers, if you want to use Algolia on Shifter, never forget to enable this Autocomplete feature. Click [Generate] button and access created your site. 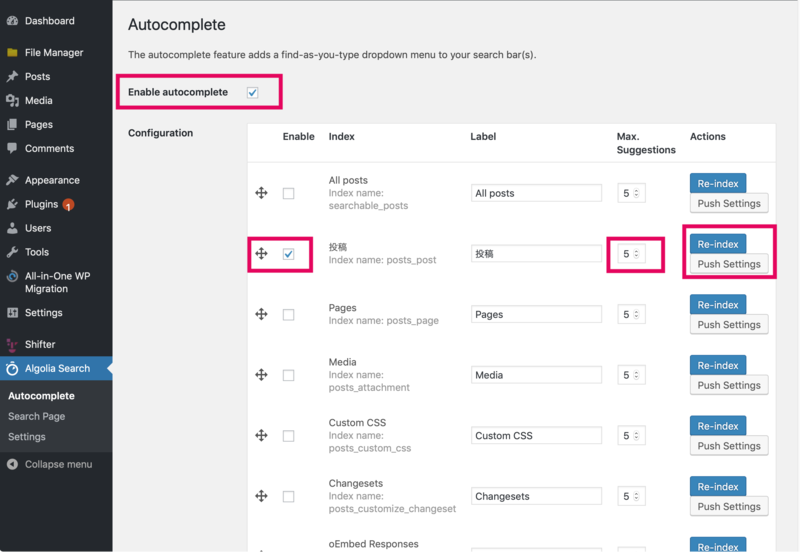 When you input letters or words into the search form, Algolia's autocompleting feature shows search results without clicking the search button or hitting the enter key. 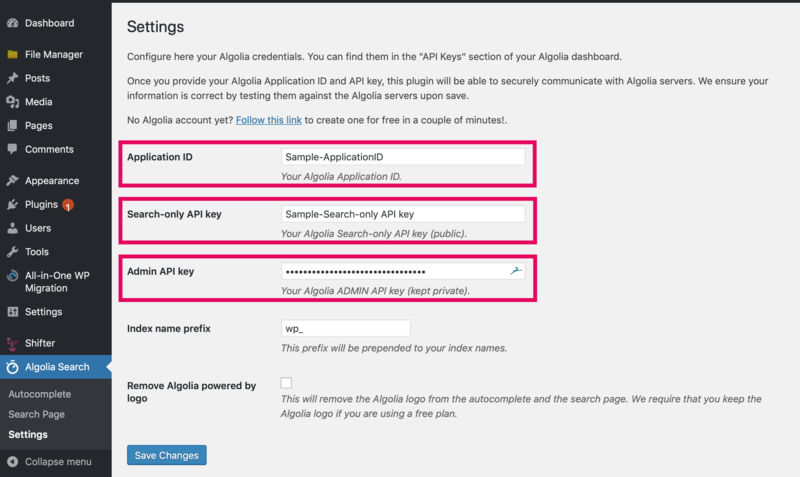 Interested in the could search service Algolia? 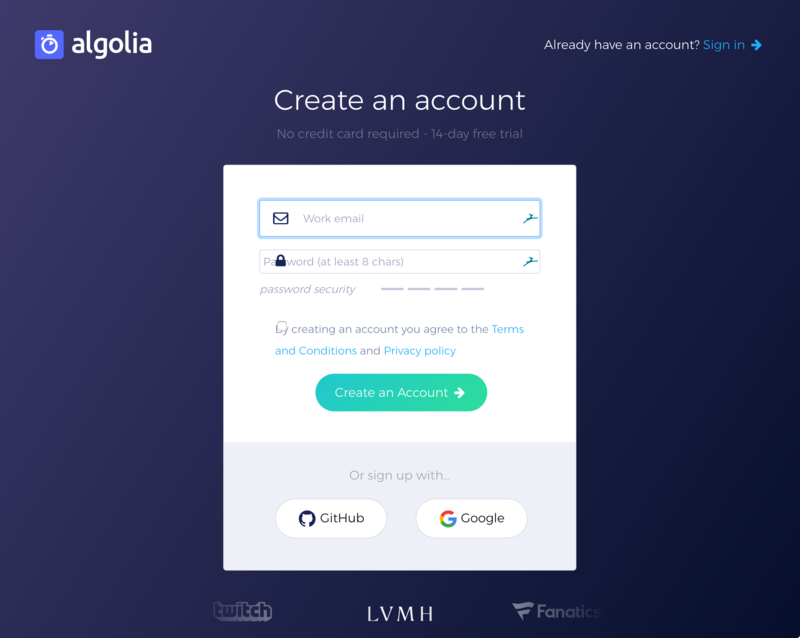 Sign-up and get free one-month Growth or Pro plan of Algolia!